If you find yourself traveling around South America, or you have plans to visit this continent, you can’t leave Colombia out of your list of “Countries to Visit!” Located in the northwest of South America, there is absolutely no doubt that you will be amazed by the huge cultural and natural diversity of this country. The capital of Colombia is Bogota and it is also the largest city in the country with nearly nine million inhabitants. These people are also known as Bogotanos. However, there are many people from all different regions of the country living in Bogota. They come from the coast, the coffee region (known as Paisas), the countryside, from Boyaca etc. All with one common goal: to build a life for themselves in the capital. 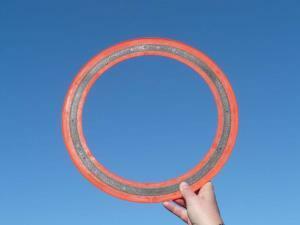 There are some people who claim that the strangest thing you could come across in Bogota is a Bogotano! In this great city, due to the wide spectrum of people, you can find a mix of accents, dialects, traditions, ways of dressing, and acting. This city is made up of all of the cultures and people of all regions of Colombia. When I’m in Bogota, what type of things I can do? When you are traveling, it’s the norm to want to travel within a budget. Great news! There are plenty of free things to do in Bogota. Here, I will mention some great free/nearly free that are definitely worth checking out. Bogota is a city with a very prominent cultural and artistic scene. Everyday of the week you can find schedules of expositions or features. These can be found in museums, cultural and academic spaces, lecture halls, expositions, art installations, at concerts, etc. In addition, there are numerous cultural and language exchanges, that could be not only interesting but useful for a traveler. This space is located at Carrera 7 No. 22-79. It presents different expositions from Colombian artists. They also organize workshops for children and adults, have investigation groups, and there is a cinema room that is open everyday of the week. Its movies are either Colombian or from other foreign countries, with different genres that inckude both shorts and feature length movies. Located in Calle 11 No. 5 – 60, this is an open recreational, cultural, and historical space where you can find great variety of place. These include the FCE, one of the most important Mexican bookstores, a gallery, a music store, an auditorium that can fit 324 people for concerts and lectures, a restaurant, and even a Juan Valdez Coffee Shop. The best part about it??? The majority of activities in this space are completely free! Bogota is full of theatres and foundations that perform plays, dances, and concerts. There are many plays performed by students undertaking theatrical training and these are either free or very cheap. 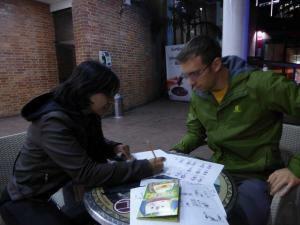 In Bogotá, you can find different places where you can practice language exchange. A good way to find them is through social media or websites like couchsurfing and meetup. 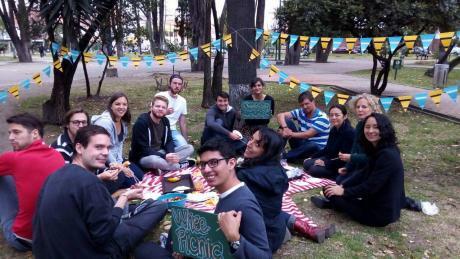 Language exchange is an event that I can highly recommend, because is a great opportunity to get to know locals, practice spanish, and help others to practice your native language. Additionally, Whee Institute offers various events during the week, with one of the more popular ones being the Thursday night dance classes. In Bogotá, on every Sunday and on holidays, some main roads are blocked off from cars, in order to let cyclists, runners, skaters, and walkers roam free from 7:00am to 2:00pm. In various parks connected by those streets, you can find aerobics, yoga teachers, and different activities, giving multiple options of enterprises for you during your time on the cycleway. This is the biggest park in Colombia that has an entertainment and sports complex. It’s open everyday from 6:00am to 6:00 pm, and it’s a great place to go for a walk, run, or play sports. Also, you have the option of driving a boat on the lake inside the park. Additionally, several concerts and festivals also take place here throughout the year. Jose Celestino Mutis Botanical Garden is a place where you can realize how biodiverse Colombia really is. You can find exhibits of different plants that grow in different ecosystem–like orchids, palm trees and roses–with all the necessary information. Also, every Sunday, you can attend free yoga lessons at 9:00am, you only have to pay the entrance to the Botanical Garden which is $2,700 COP. Bogota has incredibly delicious gastronomic variety. You can find fruits which you have never seen or tasted before. Also, you could find yourself eating an arepa with chorizo in the street, enjoying a Chuleta Valluna, or having an Ajiaco Santafereño in a gourmet restaurant. Great restaurants are present across the city, but there are three main areas for dining: La Candelaria, which is the historic centre of Bogotá; Chapinero Alto, which is known as Zona G and houses many national and international restaurants; or Usaquen, which is in the north of the city and is an area which still has its traditional Bogotano architecture beautifully preserved. Whichever area you choose largely depends on budget. One thing’s for sure though; no matter what you decide, each location offers a wonderful culinary experience. Panadería la Florida Cra. 7 #21-46: This is one of Bogota’s oldest bakeries, being more than 78 years old. Its location is in La Candelaria. Patrons to this establishment will be able to enjoy the best hot chocolate in town! One word of advice, go during the morning for a true Santaferño breakfast experience. Restaurante Las Margaritas Cl. 62 #7-77: This restaurant has typical dishes from Bogota. It is located in Chapinero, and serves typical recipes that date back more than 110 years. If you want to experience true Bogotano gastronomy, this is the perfect place. Don’t forget to ask for their famous empanadas; you can’t go to this restaurant without trying them because they are delicious. Restaurante el Kutral Calle 17 # 2 – 60 : This is an Argentinian restaurant located in Candelaria. The food is delicious and for a very good price you can enjoy a complete lunch or dinner. Wok: The specialty here is Asian cuisine. If you love sushi, this is for sure the best place to go in Bogotá.